Those girls think they’re the queen of the neighborhood. We’ve got news for you: They are. Punk-rock band Bikini Kill announced Tuesday that they will be reuniting for a limited number of tour dates in N.Y. and L.A. this coming spring. Riot grrrl trailblazers Kathleen Hanna, Tobi Vail and Kathi Wilcox will join together for their first full shows since 1997, accompanied by guitarist Eric Dawn Lyle. The trio last reunited on stage for a one-song performance in New York in November 2017. The legendary ‘90s group made a name for themselves performing feminism-fueled anthems, and by encouraging women and girls to join in on the cultural resistance by starting bands and creating zines. To this day, their song “Rebel Girl” remains a definitive punk classic and a ballad of empowerment. 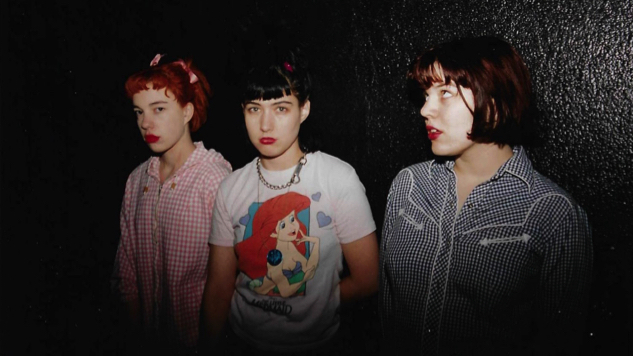 Bikini Kill’s entire discography was made available across streaming services last fall. See the band’s reunion tour dates below.